i am waiting. waiting for the new kids magazine BIG. BIG that means bravery, imaginosity and generosity. 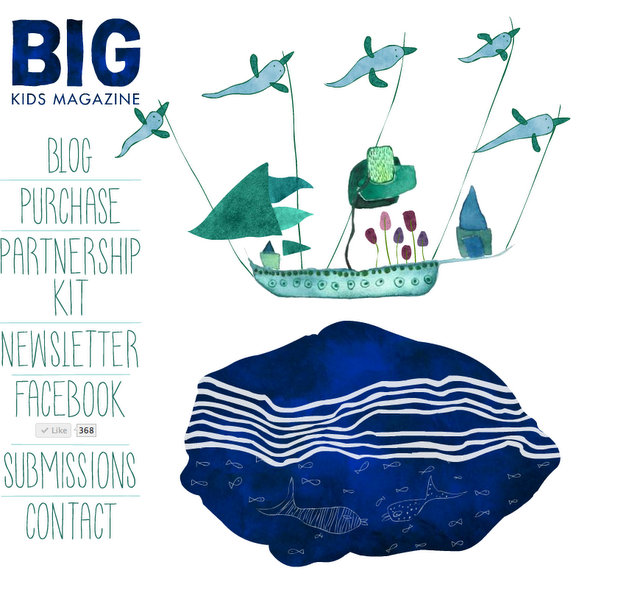 due to the makers BIG is a contemporary arts publication for children. driven by discovery, experimentation and response, they invite children to participate in topical conversations about art and the world. i am really looking forward to their first edition. Hallo Indre, vielen Dank für Deinen Comment auf meinem Blog. Hier ist's auch sehr schön. Wie sieht denn so ein Interview aus? Was möchtest Du wissen?